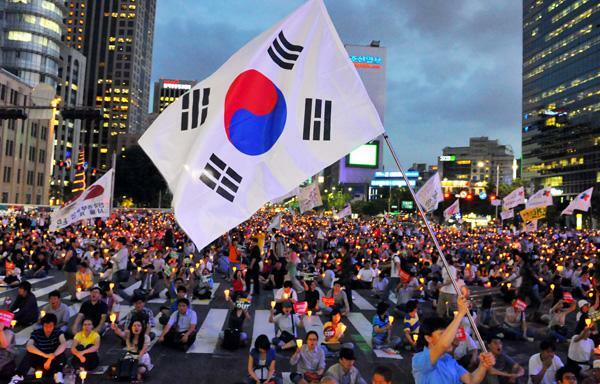 Mass protests have been resumed against President Park Geun-hye. Thousands of people have filled all the roads leading to the presidential residence. They are moving towards it. Meanwhile, official Seoul accuses the DPRK of destabilizing the situation. The DPRK is alleged (only by Seoul) to spread leaflets calling for protests. However, it is highly questionable, because without outside interference in the current situation Park Geun-hye’s rating has fallen to a record low of 4%. The impeachment procedure is reported by the parliamentary opposition to begin in December. However, Katehon warned of Park Geun-hye's impeachment in the summer. Libyan people know who the traitor is! Russia is on the side of the Libyan people!